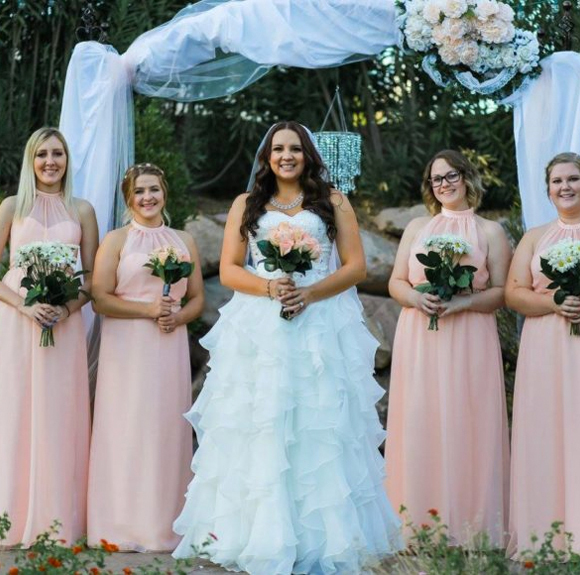 If you need a beautiful wedding dress, prom dress or bridesmaid dresses in Southern Utah, look no further than Bell Tower Bridal in St George, UT. 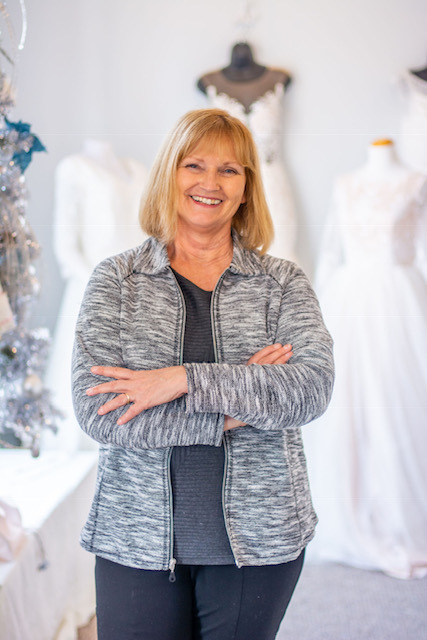 Marsha Cook, owner of Bell Tower Bridal, has been sewing since she was very young. 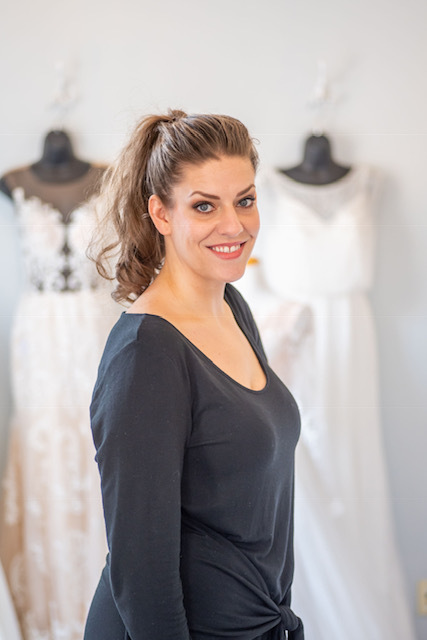 After being married and having three daughters that seemed to need endless dresses, Marsha learned that she could make things that couldn’t be bought at any price. When current styles were briefer than she wanted her girls to wear, Marsha could sew and the girls could have the latest styles with just a little more modesty than was available in stores. Marsha’s daughters never complained at having homemade clothing, but instead were happy to have originals. She started with making prom dresses and then moved on to wedding dresses! These brought opportunities for Marsha to be creative and expand her skills. Now Marsha has grandchildren to sew for, and her skills have also been in high demand for countless others who want something original, fun or just a fit that can’t be found on a rack. 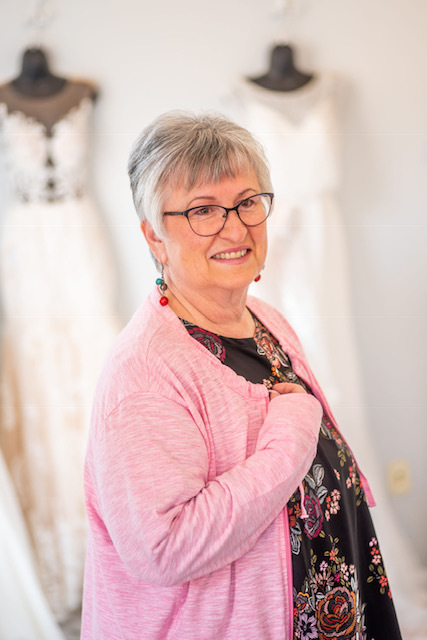 If you want a beautiful custom dress for an upcoming occasion and are looking to support a local Southern Utah business, come in to Bell Tower Bridal today. At Bell Tower Bridal, you can purchase a beautiful wedding dress that fits your style, or you can design your own one-of-a kind dress! Come and browse the wedding gowns that we have in-store, or bring us a design or picture of the dress of your dreams. 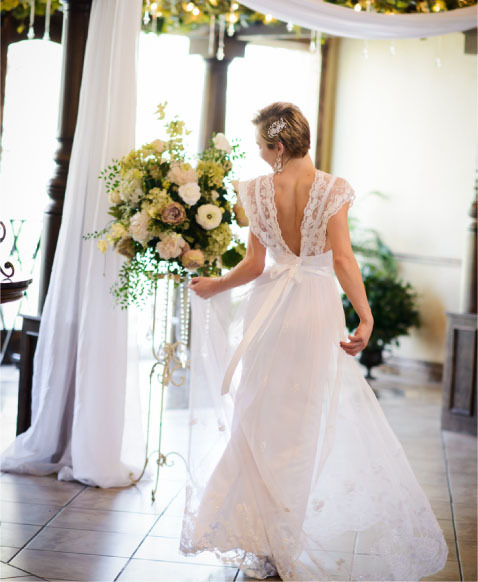 We would love to work with you to find you the perfect dress for your big day. 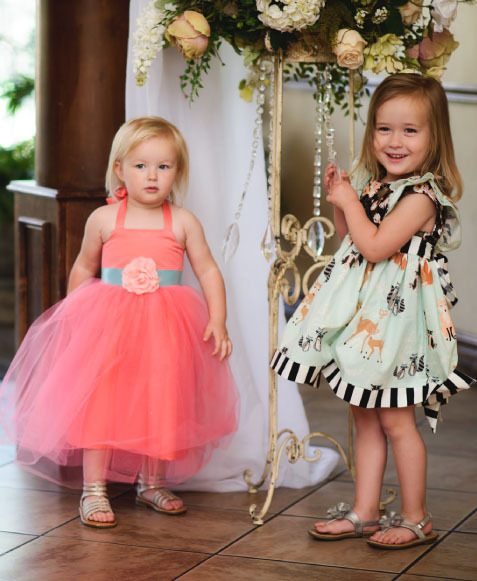 If you are in need of little girl dresses for that special little lady in your life, come in to Bell Tower Bridal in Southern Utah. We can create beautiful, custom dresses for any special occasion. From holiday dresses to flower girl dresses, Bell Tower Bridal can make it happen. Do you have an upcoming wedding and want your bridal party to look fabulous? Let us help! If you are in the market for bridesmaid dresses or a dress for the mother of the bride, come by Bell Tower Bridal today. We have dresses in-store, or we can create you something custom! Don’t have the same prom dress as everyone else. 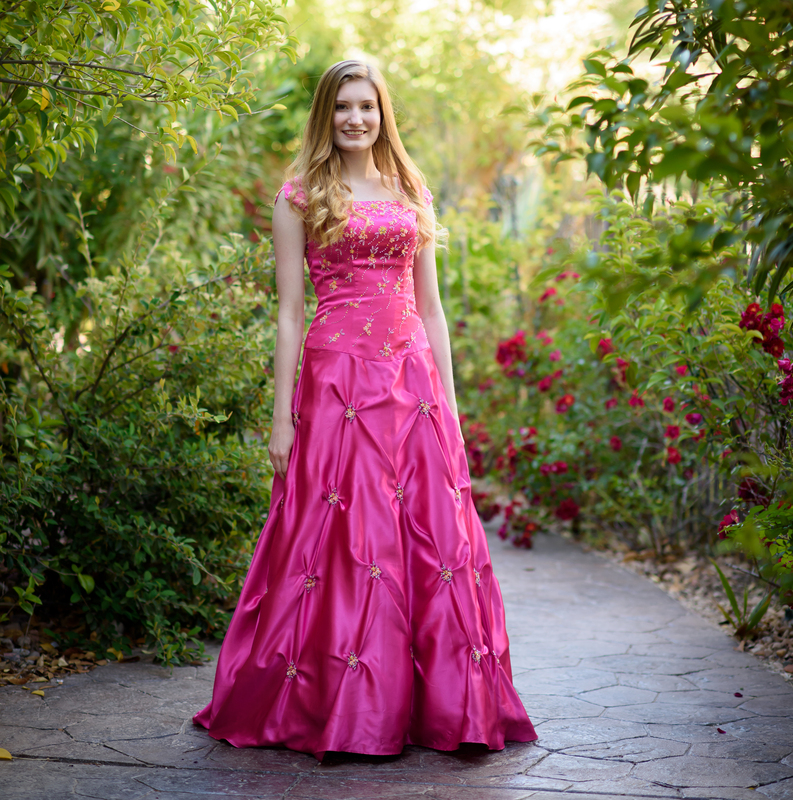 At Bell Tower Bridal, we can design a beautiful, one-of-a-kind custom dress for your upcoming prom or school dance! If you can dream it, we can design it. Come in today! 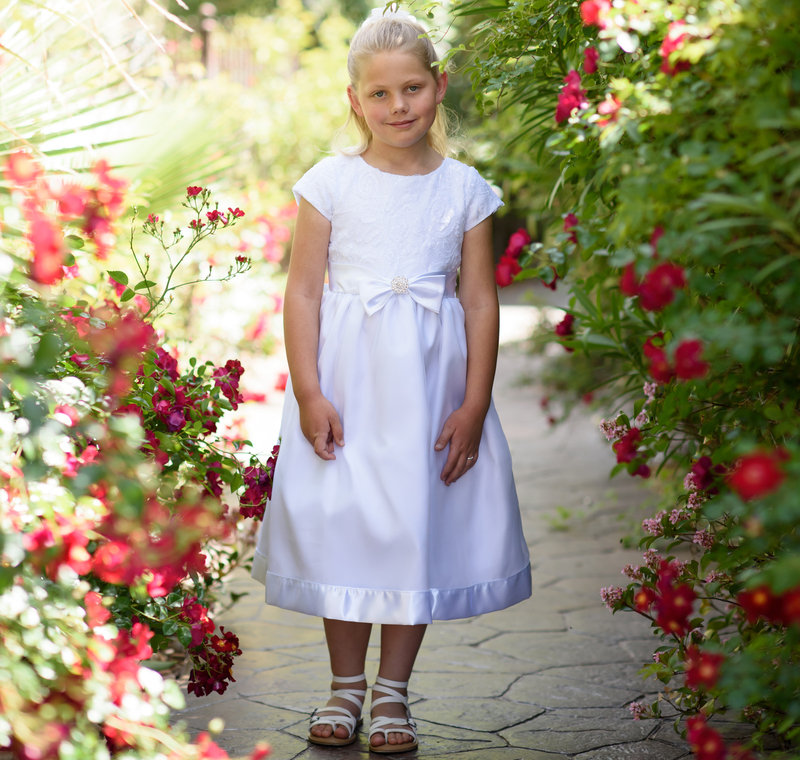 At Bell Tower Bridal, we also carry beautiful dresses for baby christenings and baptisms, blessings and temple gowns. If you want a beautiful and unique dress for your upcoming religious event, we can create a custom dress just for you. Do you have a dress that needs alterations? We can make it fit perfectly. Our tailor and seamstress services are the best in the Southern Utah area and we are committed to providing you with an exceptional experience. Bring your dress in today!